On October 27, a record 210 Nebraskans attended the 2017 Step Forward Awards. Selected by Nebraska Governor Pete Ricketts, the Step Forward Awards are the state’s most prestigious volunteer recognition program. 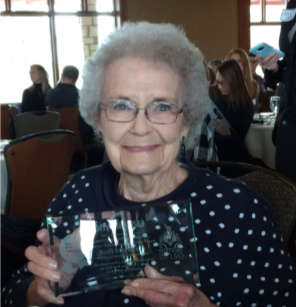 Matt Talbot’s own Ruth McKinstry received this year’s Lifetime Achievement Award. Ruth’s nomination described her service: “Twenty-five years ago, a small group of volunteers committed to providing one meal each week to Lincoln’s homeless, and Matt Talbot Kitchen was born. From that small group, Ruth McKinstry stepped forward to organize the volunteer effort, and with Ruth’s encouragement and leadership through the years, Matt Talbot grew to more than 800 volunteers each month providing and serving lunch and dinner 365 days a year. 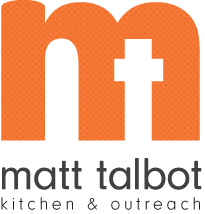 Thanks to Ruth’s volunteerism and her inspiration of hundreds of other volunteers, Matt Talbot Kitchen & Outreach has served more than two million meals to Lincoln’s working poor and homeless and touched the lives of tens of thousands of men, women and children who struggle with poverty in Nebraska.